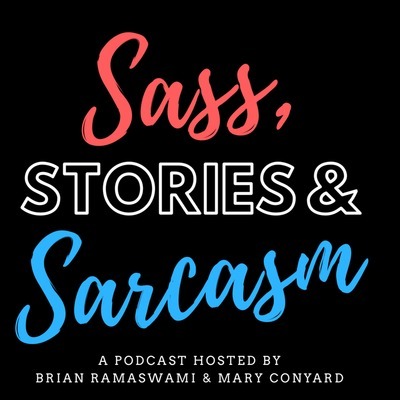 Join Mary Conyard and Brian Ramaswami each week as they discuss life, sports, reality tv, and weird news, and also interview friends, play trivia games, learn about new subjects, and more. Their witty conversations always make their friends laugh, and now they can make you laugh, too! On this episode we conclude March Madness, play the 5 Second Rule game, and discuss the most popular TV shows for college students! Here is the TV show study we referenced: https://blogs.gcu.edu/blog/top-tv-shows-among-u-s-college-students/ Like us on Facebook at facebook.com/sassstoriessarcasm and on Instagram at instagram.com/sassstoriessarcasm. This episode is sponsored by Audible. Get your free audiobook by going to audibletrial.com/ssspodcast. This week we talk about the Final Four games and go over some weird news! Like us on Facebook at facebook.com/sassstoriessarcasm and on Instagram at instagram.com/sassstoriessarcasm. This episode is sponsored by Audible. Get your free audiobook by going to audibletrial.com/ssspodcast. On this episode we recap the end of the Zags season and what's to come next year, Brian says what he knows about the history of Gonzaga, and we talk about the final four teams left in the tournament! Like us on Facebook at facebook.com/sassstoriessarcasm and on Instagram at instagram.com/sassstoriessarcasm. This episode is sponsored by Audible. Get your free audiobook by going to audibletrial.com/ssspodcast. This week we talk about March Madness, how Gonzaga Exists, and Brian answers some "this or that" questions! Go Zags! Like us on Facebook at facebook.com/sassstoriessarcasm and on Instagram at instagram.com/sassstoriessarcasm. This episode is sponsored by Audible. Get your free audiobook by going to audibletrial.com/ssspodcast. The Zags are in the Big Dance for the 20th year in a row! On this episode we talk about Gonzaga's history in the tournament as well as give you some fun tournament facts! GO ZAGS! Join our ESPN Tournament group HERE. The password is zags. Like us on Facebook at facebook.com/sassstoriessarcasm and on Instagram at instagram.com/sassstoriessarcasm. This episode is sponsored by Audible. Get your free audiobook by going to audibletrial.com/ssspodcast. On this episode we talk all about the Bachelor finale and give our take on Colton and Cassie ending up together. Thanks for listening! Like us on Facebook at facebook.com/sassstoriessarcasm and on Instagram at instagram.com/sassstoriessarcasm. This episode is sponsored by Audible. Get your free audiobook by going to audibletrial.com/ssspodcast. This week we're doing two special episodes! This episode is all about the Zags run in the WCC tournament and why we think that their loss in the championship will help them in the long run. GO ZAGS! Like us on Facebook at facebook.com/sassstoriessarcasm and on Instagram at instagram.com/sassstoriessarcasm. This episode is sponsored by Audible. Get your free audiobook by going to audibletrial.com/ssspodcast. This week we give a preview of the WCC tournament, talk about the history of string cheese, and Brian asks Mary trivia questions! Like us on Facebook at facebook.com/sassstoriessarcasm and on Instagram at instagram.com/sassstoriessarcasm. This episode is sponsored by Audible. Get your free audiobook by going to audibletrial.com/ssspodcast. This week we talk about the Zags epic senior night win over BYU, podcast facts, and give an update on the Bachelor! Here's the podcast facts article we reference: https://chartable.com/blog/golden-age-of-podcasts Like us on Facebook at facebook.com/sassstoriessarcasm and on Instagram at instagram.com/sassstoriessarcasm. This episode is sponsored by Audible. Get your free audiobook by going to audibletrial.com/ssspodcast. On this episode we give an update on the Zags, what we did this weekend, and weird news! Like us on Facebook at facebook.com/sassstoriessarcasm and on Instagram at instagram.com/sassstoriessarcasm. This episode is sponsored by Audible. Get your free audiobook by going to audibletrial.com/ssspodcast. This week Washington state was hit with huge amounts of snow, so we talk about our experiences from eastern and western Washington, then we recap the Super Bowl, and finish up with an update on the Zags! Like us on Facebook at facebook.com/sassstoriessarcasm and on Instagram at instagram.com/sassstoriessarcasm. This episode is sponsored by Audible. Get your free audiobook by going to audibletrial.com/ssspodcast. On this episode we talk about all things SUPER! First we talk about how we're feeling pretty famous because an article was written about us and our podcast this week, you can read it here. Next we talk about how most of the country has been experiencing a Polar Vortex this week. And last but not least we talk about the Super Bowl! Like us on Facebook at facebook.com/sassstoriessarcasm and on Instagram at instagram.com/sassstoriessarcasm. Get a free audiobook from Audible by going to audibletrial.com/ssspodcast. This episode feature Mary's brother, Chip, singing his new song called Mind Behind, followed by Brian answering trivia questions! Listen to more of Chip's music here: soundcloud.com/chip-conyard. Like us on Facebook at facebook.com/sassstoriessarcasm and on Instagram at instagram.com/sassstoriessarcasm. This episode is sponsored by Audible. Get your free audiobook by going to audibletrial.com/ssspodcast. On this episode Brian talks about his cheesy new obsession, Mary talks about her trip to Portland, and together we discuss Japan's robot hotels, Netflix's price increase and unique new original series, and Spokane's new street named after Martin Luther King Jr.! Like us on Facebook at facebook.com/sassstoriessarcasm and on Instagram at instagram.com/sassstoriessarcasm. This episode is sponsored by Audible. Get your free audiobook by going to audibletrial.com/ssspodcast. This week we discuss some weird news, the first episode of the Bachelor, and talk about some upcoming movies! Like us on Facebook at facebook.com/sassstoriessarcasm and on Instagram at instagram.com/sassstoriessarcasm. This episode is sponsored by Audible. Get your free audiobook by going to audibletrial.com/ssspodcast. Happy 2019 and happy Season 2! We talk about the Zags and give our thoughts about the Bachelor contestants before the Bachelor season premiere this week! Like us on Facebook at facebook.com/sassstoriessarcasm and on Instagram at instagram.com/sassstoriessarcasm. This episode is sponsored by Audible. Get your free audiobook by going to audibletrial.com/ssspodcast. On the season one finale, we talk about Santa, Christmas facts, and Mary reads a version of Twas the Night Before Christmas that she changed to be about the podcast! Thanks for listening to us this season, we'll be back with Season 2 on January 1st! Like us on Facebook at facebook.com/sassstoriessarcasm and on Instagram at instagram.com/sassstoriessarcasm. This episode is sponsored by Audible. Get your free audiobook by going to audibletrial.com/ssspodcast. On this episode we announce the winner of our Christmas ornament giveaway, discuss the Zags win over the Huskies, and talk about the Christmas pickle! Like us on Facebook at facebook.com/sassstoriessarcasm and on Instagram at instagram.com/sassstoriessarcasm. This episode is sponsored by Audible. Get your free audiobook by going to audibletrial.com/ssspodcast. We give some behind-the-scenes trivia about our favorite Christmas movies, Brian uncovers some weird news happening in the world today, and Mary talks about a marketing prank that has brought positive attention to a company recently! Like us on Facebook at facebook.com/sassstoriessarcasm and on Instagram at instagram.com/sassstoriessarcasm. This episode is sponsored by Audible. Get your free audiobook by going to audibletrial.com/ssspodcast. This week we talk about the Zags being #1 in the nation, do Guess the Lyrics Christmas song edition, and talk about the book Brain Rules by John Medina! Like us on Facebook at facebook.com/sassstoriessarcasm and on Instagram at instagram.com/sassstoriessarcasm. This episode is sponsored by Audible. Get your free audiobook by going to audibletrial.com/ssspodcast. This week we talk about Thanksgiving weekend! This episode is sponsored by the Etsy shop JoyfullyMadeByHJ. Go to etsy.com/joyfullymadebyhj and enter the code SWAG10 for 10% off! Happy Thanksgiving Week! We discuss our favorite Thanksgiving foods, a viral Thanksgiving prank, and go over some Thanksgiving facts! Like us on Facebook at facebook.com/sassstoriessarcasm and on Instagram at instagram.com/sassstoriessarcasm. This episode is sponsored by Audible. Get your free audiobook by going to audibletrial.com/ssspodcast. This week we talk about the practice of meditation and upcoming movies! Like us on Facebook at facebook.com/sassstoriessarcasm and on Instagram at instagram.com/sassstoriessarcasm. We’re not affiliated or sponsored by Headspace, but if you want to get 25% off an annual subscription go to headspace.com/code and enter code CXGETSOMEHEADSPACE. This episode is sponsored by Audible. Get your free audiobook by going to audibletrial.com/ssspodcast. #23: We got Zags and Shunts on the Brain! We talk about the Zags first game and hydrocephalus research advancements on this episode! Here's the hydrocephalus article referenced in the episode: https://news.northwestern.edu/stories/2018/october/game-changing-skin-sensor-could-improve-life-for-a-million-hydrocephalus-patients/ Like us on Facebook at facebook.com/sassstoriessarcasm and on Instagram at instagram.com/sassstoriessarcasm. Start your Audible free trial and choose the audiobook of your choice by going to audibletrial.com/ssspodcast. Happy Halloween! On this episode we discuss what we were for Halloween growing up and also about Zag basketball as we prepare ourselves for this season. Enough by Chip Conyard: https://soundcloud.com/chip-conyard/enough Like us on Facebook at facebook.com/sassstoriessarcasm and follow us on Instagram at instagram.com/sassstoriessarcasm. Start your Audible free trial by going to audibletrial.com/ssspodcast. Hear about Brian and Mary's weekend hanging out together and find out if Brian FINALLY got a winter coat! Like us on Facebook at facebook.com/sassstoriessarcasm and on Instagram at instagram.com/sassstoriessarcasm. Start your Audible 30 day trial and choose your audiobook today at audibletrial.com/ssspodcast. Thanks for listening! #20: Are We Smarter than a 5th Grader? On this episode, we have a very special guest, Bradyn Sloan, talk about her experience as a Salmon Days marching band judge with Mary, then Brian talks about his wild Spokane weekend at the casino and a thrift store! Update: the store Brian was at was the Goodwill Outlet. Join us next week for our 20th episode!!! Like us on Facebook at facebook.com/sassstoriessarcasm and Instagram at instagram.com/sassstoriessarcasm. Start your Audible free trial at www.audibletrial.com/ssspodcast. Have a great week! On this episode we talk about interesting facts about podcasting, Brian's plan for buying winter clothes, and how Mary is one of the oFISHal Issaquah Salmon Days parade marching band judges! Like us on Facebook at facebook.com/sassstoriessarcasm and on Instagram at instagram.com/sassstoriessarcasm. This episode is SPAWNsored by Audible. Start your 30 day membership trial and get a free audiobook of your choice by going to audibletrial.com/ssspodcast. On this episode that was recorded from beautiful Spokane, Washington, we talk about our bowling adventures, some weird news, and preview the Gonzaga non-conference schedule! Like us on Facebook at facebook.com/sassstoriessarcasm and on Instagram at instagram.com/sassstoriessarcasm. Start you Audible 30 day membership trial today and choose a free audiobook by going to audibletrial.com/ssspodcast. On this episode Brian talks about his fitness journey and how he is changing up his fitness program, then we take personality tests and discuss the results, and finally, Mary talks about a recent movie she saw! If you want to take the Enneagram Personality Test that we took: https://www.eclecticenergies.com/enneagram/test Like us on Facebook at facebook.com/sassstoriessarcasm and on Instagram at instagram.com/sassstoriessarcasm. Be sure to leave us a review on iTunes: https://itunes.apple.com/us/podcast/sass-stories-sarcasm/id1385333104?mt=2 To start your Audible 30 day membership trial and get your FREE audiobook, go to audibletrial.com/ssspodcast. On this episode Brian tackles an Ask Me Anything. Then we talk about the Royal Wedding of Gonzaga and the similarities and differences between Michael Scott and Lebron James! Thanks for listening! Like us on Facebook at facebook.com/sassstoriessarcasm and on Instagram at instagram.com/sassstoriessarcasm. Start your Audible 30 day membership trial at audibletrial.com/ssspodcast and choose your FREE audiobook today! It's been slightly over a week, but we're back!!! 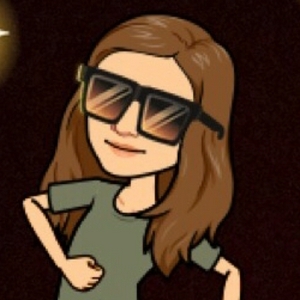 On this episode we talk about the Bachelorette, weird news, and on a very special AMA (Ask Mary Anything), Brian asks Mary questions that he genuinely wants to know the answers to. Like us on Facebook at www.facebook.com/sassstoriessarcasm and follow us on Instagram at www.instagram.com/sassstoriessarcasm. Start your Audible 30 day membership trial and choose a free audiobook of your choice by clicking our link: audibletrial.com/ssspodcast. It's our 10th episode and it's all about the Mariners this week! We invited our friend and Mariners expert Nick Blackbourn on to talk about the Mariners season so far and his hopes for the rest of the season. Then we interview Nick to let all of our loyal listeners get to know him better. It's our 10th episode spectacular and you aren't going to want to miss it! Like us on Facebook at facebook.com/sassstoriessarcasm and follow us on Instagram at instagram.com/sassstoriessarcasm. To start your Audible 30 day membership trial, visit audibletrial.com/ssspodcast to choose one free audiobook! We're on cloud 9 because this is episode 9! We go over the most recent episode of The Bachelorette, Mary talks what she learned in her philosophy of happiness class in college, and we talk about books becoming movies later in 2018! Stay tuned for our special All-Star Break episode with our friend Nick Blackbourn to celebrate our 10th episode! Like us on Facebook at www.facebook.com/sassstoriessarcasm and follow us on Instagram at www.instagram.com/sassstoriessarcasm. Start your Audible 30 day membership trial to get your first audiobook for FREE! Even if you cancel your membership, you still get to keep your audiobook. Go to www.audibletrial.com/ssspodcast to get started! Thanks for listening! #8: How Do You Say Uruguay? #7: O Say Can You... Pass The Citizenship Test? For our Independence Day episode we told some 4th of July jokes, administered a U.S. Citizenship test to see if Brian would pass, and got an update on the World Cup (even though the U.S. didn't even make it this time!) Plus, hear breaking news on the most exciting weekly update Brian has ever had! Follow us on Facebook! facebook.com/sassstoriessarcasm Follow us on Instagram! instagram.com/sassstoriessarcasm This episode is sponsored by Audible. Get a 30 day trial membership that includes one FREE audiobook from their unmatched selection. Go to audibletrial.com/ssspodcast to get started! #6: Happy Summer... Now Let's Hit the Books! On this episode, we ring in summer with an update on the World Cup and all things books and audiobooks! Big shoutout to our sponsor, Audible! Sass, Stories & Sarcasm listeners can get a free 30 day trial that includes one free audiobook from their unmatched selection of audio programs. Just go to audibletrial.com/ssspodcast to get a free audiobook of your choice! Like us on Facebook at facebook.com/sassstoriessarcasm. Thanks for listening! #5: Puppies and Dinosaurs and a Strangler... Oh My! 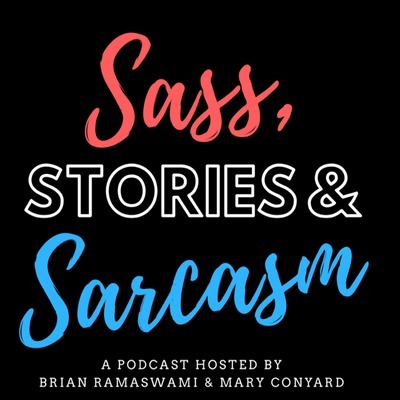 On the latest episode of Sass, Stories & Sarcasm, Brian tests out some jokes on Mary, we go over weird news happening in the world, and Mary quizzes Brian on some of the lyrics of his favorite songs! 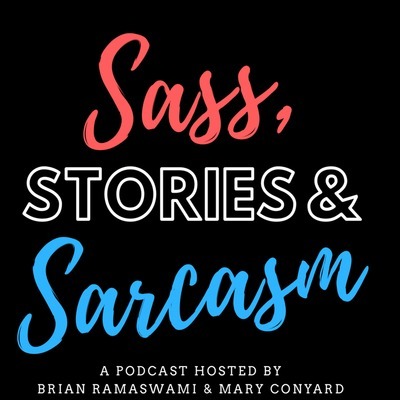 Be sure to like us on Facebook at www.facebook.com/sassstoriessarcasm and subscribe so you hear all the latest episodes! Enjoy!